USD weakens on Fed's Powell Jackson Hole speech. US Dollar Index stays within a touching distance of the 95 mark. WTI sticks to recovery gains above $69. 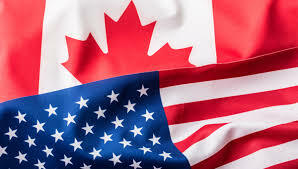 Following its 100-pip rally on Thursday, the USD/CAD retraced almost all of its gains on Friday as it approached the critical 1.30 mark. At the moment, the pair is trading at 1.3020, losing 0.45% on the day. The greenback, which was already under a modest selling pressure, extended its losses after Fed Chairman's prepared remarks at the Jackson Hole Symposium was assessed as being dovish. On the inflation expectations, Powell said there were no clear signs of "an acceleration above 2%, and there does not seem to an elevated risk of overheating." With the initial reaction to Powell's speech, the US Dollar Index plummetted to a 2-day low at 95.03 and struggled to make a meaningful recovery. As of writing, the index was losing 0.55% on a daily basis at 95.10. "The lack of fresh Fed impetus comes at a time when the dollar is running out of positive catalysts – domestic political uncertainties (Trump and Cohen), Trump jawboning, fading positive US data surprises, extreme long USD positioning means that we think the broad dollar index has most likely put in a short-term cyclical top now," ING analysts argued in a report that analyzes the recent USD weakness. On the other hand, the sharp rise seen in crude oil prices help the commodity-related loonie outperform its rival currencies on Friday. Reports of China's Unipec's deciding to restart purchasing oil from the U.S. after halting it for two months amid the trade conflict boosted crude oil and the barrel of West Texas Intermediate rose to a 16-day high at $69.30. With a decisive break below 1.3000 (psychological level), the pair could extend its losses toward 1.2960 (Aug. 7 low) and 1.2920 (Jun. 8 low). On the upside, resistances are located at 1.3100 (daily high/50-DMA), 1.3175 (Aug. 16 high) and 1.3290 (Jul. 19 high).